This petition has been created by Jean M. and may not represent the views of the Avaaz community. January 2011 saw a major year-long undercover investigation by Greenpeace of Asia Pulp & Paper. Cites law states that under (annex 1-3 and the Cop 14 Doc 50 Annex 2) that it is an offence to log any tree in an area where there are endangered animals one of which the Sumatran Tiger that mainly lives in the habitual area of the ramin tree. 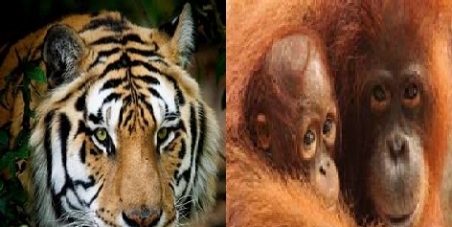 CITES has placed both Orang-utans & Sumatran Tiger on the endangered species list meaning that any of these species of Orang-utan or Tiger that are shot dead, or young taken from their mothers to use in the illegal pet trade is a violation of Indonesian law and international law. APP have been proven to shoot dead Orang-utan and endangering the Tiger species. Asia Pulp and Paper are illegally by force destroying the homes and livelihoods of indigenous people that is against (human rights laws act 1998). Asia Pulp and Paper and Sinar Mas produce palm oil for 90% of the world’s population. Please only buy sustainable palm oil. If in doubt you can google this or look up many environmental groups on the Internet that deal with this area. There are roughly 400 Sumatran Tigers left in the wild and Asia Pulp and Paper along with Sinar Mas are killing them by destroying their natural habitat, that then forces them in to populated areas to be shot dead by the locals. The same is on going to the Orang-utan 5000+ are killed a year all for consumer demand for palm oil products. Please view Save the Orang-utans and Forests and see how you too can help.